Back in 2016, we spoke with Trinity Thomas about one of the dreams she had as a young gymnast: to compete in the 2020 Olympics in Tokyo. Whether she participates in the next Games or not, the University of Florida-bound Thomas has already found some success in Tokyo. The York, Pennsylvania, product secured an all-around silver medal at the Tokyo World Cup in April. 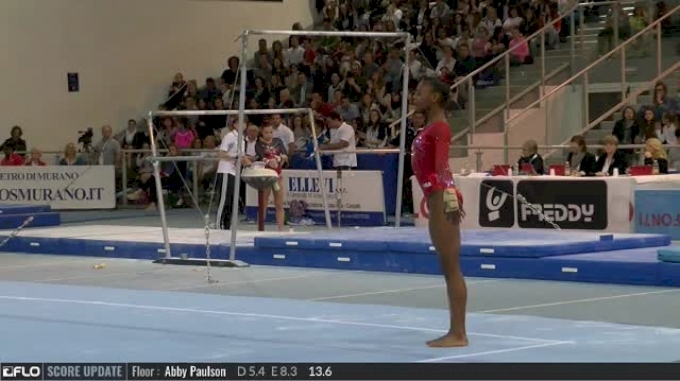 In the routine below, Thomas displays everything we’ve come to love about her gymnastics. Her tumbling passes are power and explosive yet elegant; no movement seems forced or mechanical, but rather fluid and smooth. The dance elements in this routine give you the feeling that she’s gliding across the floor. FloGymnastics has justifiably followed Thomas’ career for a long time. Trained at Prestige Gymnastics in Lancaster, Pennsylvania, she made her international debut at the 2017 City of Jesolo Trophy as a junior, earning 15th place in the all-around in the meet won by USA’s Riley McCusker. Of course, Thomas also featured in FloGymnastics’ Beyond the Routine series — here’s the trailer, episode one, and episode two — and she's already in Gainesville preparing to be the next great Gator. We think Florida will be plenty happy with their star recruit.